Bellicose rhetoric from Donald Trump has heightened tensions in the region in recent months, prompting British officials to draw up military plans for a response to a break out of hostilities, it was reported. 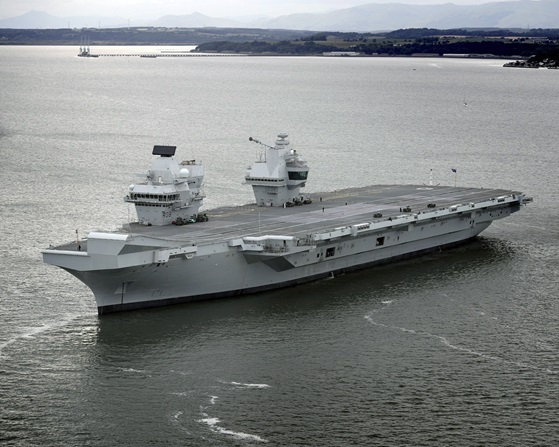 Among the plans disclosed by the Daily Mail is the deployment of the Navy's newest aircraft carrier, HMS Queen Elizabeth, before it has undergone flight trials. Uh wow. They're actually talking about sending the QE ahead of schedule to the fight? A plea for extra defense funding, a ploy to be seen as still militarily relevant or an easy fight that everyone wants to pile in on since N. Korea is a VERY weak country when it comes to its air force and navy? My guess is all 3. What happens if you push a war and everyone wants in? What happens if the plans go stupid and that minor risk becomes the course of the war? I don't think this will be as easy and painless as many planners seem to think. I keep hearing about a limited strike with China ensuring that it doesn't escalate (meaning that China guarantees no invasion, to the North and we get assurances on no nuke retaliation). Don't think that will work but I think we're all gonna see.